"Nach Re Amar Man": A Festival for the Heart (Dec 20- 24th) ~ The Toronto Hare Krishna Temple! It has gotten pretty chilly in the last couple of days, but guess who's bringing in a heat wave all the way from Northern California? As most of you must have guessed by now, His Grace Vaisesika Prabhu and Her Grace Nirakula Mataji will be in town next week (Dec 20th to 24th) with a line up of fun-filled events. So what is this nāch re āmār man (prounounced näch-ray-ämär-mun), you ask? Since 2009, these beloved disciples of Srila Prabhupada have been making their semi-annual / annual visits to Toronto which are always a beautiful package-deal of fun things: singing, dancing, practical seminars with useful tips on how to bring a change in consciousness, and lessons about how to interact with the environment - the spirit of giving and sharing (Srimad Bhagavatam classes in temple packaged with application outside the temple). In short- its a festival for the heart! Hence, we thought of officially giving their visits this name. Special Bhagavatam Classes on the theme 'Preaching is the Essence' which is one of the 4 primary principles that Srila Prabhupada used to quote (Books are the Basis, Purity is the Force, Preaching is the Essence and Utility is the Principle). Come out for these very interactive classes as we hear and discuss how sharing enriches our lives! How can I balance my spiritual practices with my material obligations? Where do I draw the line? Should I really spend time planning my material goals? Join in for this special Friday night seminar where you will learn the delicate art of balancing spiritual and material priorities. Please mark these dates and try to make the most of their really special association! Help spread the word and please invite anyone and everyone! Is Sam's initiation on Sat DEC 21 or Sun DEC 22? There is some confusion in the "Note" it says it is on "Sun Dec 21". Sunday is not the 21 nor is Dec 21 Sunday. Sam's initiation- says " Sun Dec 21 "
also another query: Will Vaisesika Prabhu's classes be on live net ? Hare Krsna! Sam's initiation is on Sunday, December 22nd! Sorry for the typo! 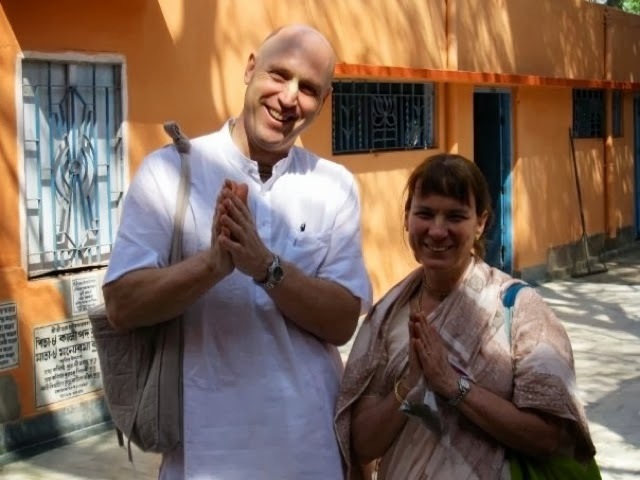 JMD - yes, all of Vaisesika prabhu's programs are being broadcast on www.mayapur.tv (Toronto channel). Can the mike volume be increased on Mayapur.tv recordings? It is a bit soft. Same goes for the QnA. Can't hear it very clearly! Hare Krsna Madhavi! We'll pass the feedback on to the tech team! Sorry about the low audio level! Thank you so much for broadcasting events online..hari hari bol..